Stainless steel: The HZ slow juicer comes with a stainless steel finish and LED indicators. 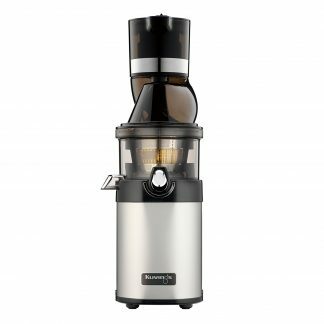 Our top-of-the-line HZ slow juicer is powered by our newest technology and is cased in stainless steel. 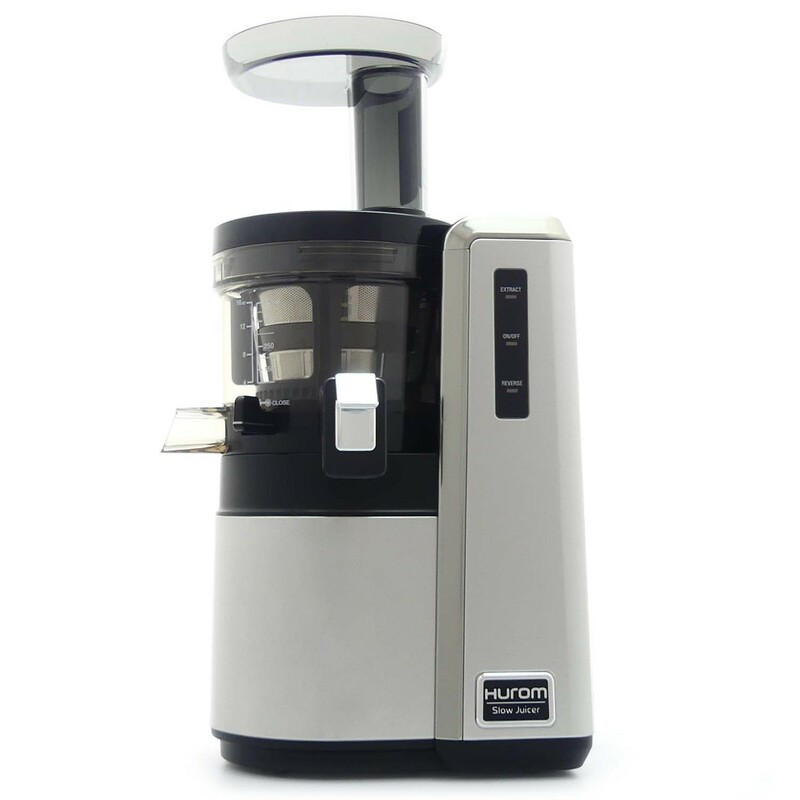 The HZ’s Alpha technology features optimized juicing, easier cleaning and the ability to make ice cream. The HZ also comes with a long list of accessories. Stainless Steel: The HZ slow juicer comes with a stainless steel finish and LED indicators. Stainless steel, known for its durability and hygienic antibacterial benefits, gives the HZ an industrial yet elegant look. The LED indicators clearly show that status of the machine, whether it’s in extract mode or reverse mode. Slow Squeeze Technology: The HZ slow juicer rotates at a speed of just 43 revolutions per minute to mimic the motion of a hand squeezing juice. This patented Slow Squeeze Technology ensures your juice stays fresh and in its most natural state. Taste & Pulp Control: The HZ slow juicer comes with a control lever and a fine and coarse strainer that allow you to control the amount of pulp to suit your taste. 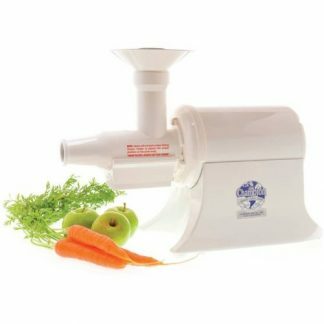 Easy to Clean: During juicing, the inner spinning brush rotates to clean the chamber and strainer simultaneously, reducing clogging and increasing juicing efficiency.The HZ slow juicer can also be quickly disassembled and assembled, making cleaning a breeze. Quality: Made with a BPA-free, impact resistant ABS plastic body, our slow juicers are extremely durable. The heavy-duty Ultem strainer and auger are 8x stronger than traditional plastics allowing our slow juicers to handle years of daily use. Versatility: Works wonderfully on fruits, cruciferous vegetables, leafy greens, nuts and soybeans to create nutritious cold-pressed juices, milk, tofu, and more. 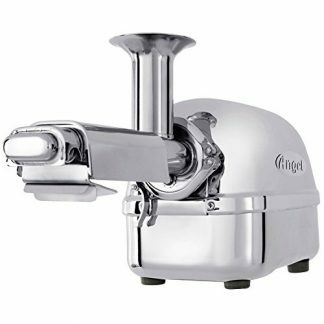 The HZ slow juicer also has the ability to create healthy ice cream straight from the chamber. Top Line Quality This juicer boasts specs intended for more high-end juicers. I took a chance on the Hurom HZ juicer because my sister recommended it. So far, this juicer isn't disappointing me and works well in giving me more juice in each fruit.